It’s a rare opportunity indeed to report on a new Sega game for Sega hardware. 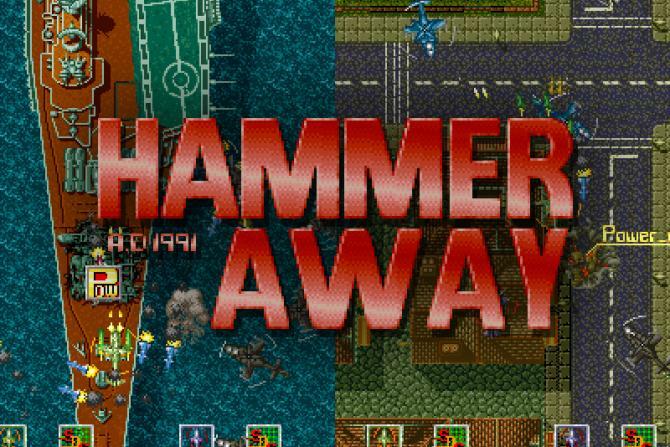 Now, thanks to a bizarre series of events that started in 1991, the once forgotten Sega shooter Hammer Away is available to play via MAME. Due to be released in 1991, the title never made it to arcades. It was thought lost until a chance discovery of a System-18 prototype PCB, containing the game, was found in Portugal. The ROM chips were rescued, placed into a working System-18 board and a dump taken. Less than 24 hours later MAME had been updated to boot the Hammer Away ROM. As can be seen from the attract mode, Hammer Away looks like a cross between Thunderblade and Capcom’s 194X titles. Keep your eyes peeled to Sega Addicts for a more in-depth look at this game as it makes the greatest comeback since Lazarus. Aliens: Colonial Marines announced by Sega, first Teaser Trailer up! Renegade Ops for PC delayed once again!